Egg salad is one of those old-fashion luncheon comfort foods. 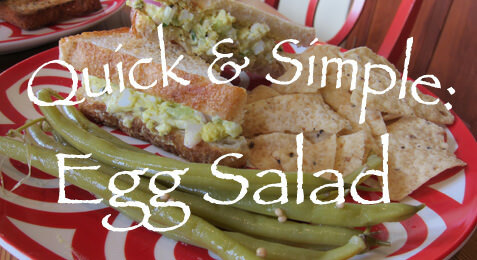 Whenever I need a fast easy lunch, egg salad is the ticket! I think the freshness of the celery and tarragon makes this salad really great. Put it on a sandwich or enjoy along with a leafy green salad or some dilly beans. You can find the recipe for Egg salad here!